It was a beautiful summer day in July 2009. Claver Bundac, CEO and Founder of California-based biotech firm, Biomedix, decided to take his boat for a short cruise from his moorage in La Conner, WA. After an afternoon enjoying the water, Claver realized he was dangerously low on gas. He was unfamiliar with the area, and the closest thing he had to a map was a laminated placemat with a rough depiction of the Salish Sea. Luckily, the placemat included fuel dock locations, the closest of which was the Islander Dock in Lopez Island’s Fisherman Bay. Running on fumes, Claver made it to the dock. He had never been to Lopez, but like many before him, upon arrival he was immediately hooked by the beauty and friendliness of the island. Within a few months, Claver purchased a home on Whiskey Hill. Claver’s love-at-first-sight story is a common tale on Lopez. What’s not so common is what Claver has done since fate and an empty gas tank steered him to this little island. Last week, Claver – along with the Lopez Community Land Trust (LCLT) – officially opened the world’s first food safety lab run by farmers. 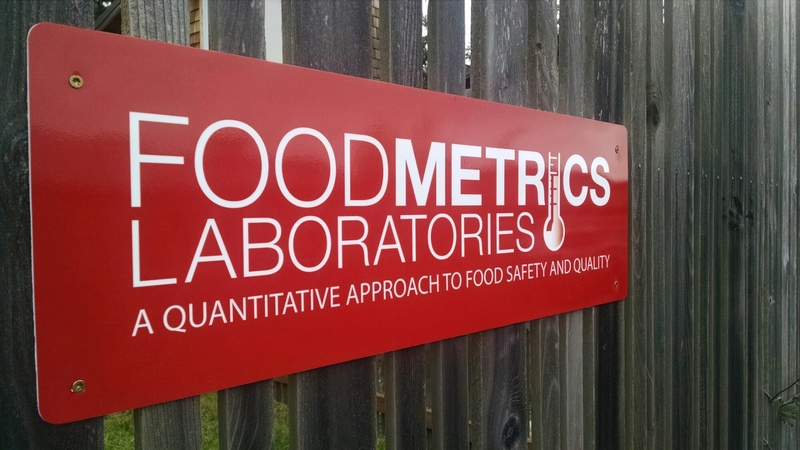 The new FoodMetrics – Lopez Lab, housed at the offices of the Lopez Community Land Trust, is a facility where trained Lopez food producers can establish an on-going food safety verification system for their products in order to stand up to the increasingly stringent regulations from the USDA and FDA. “This has never been done before,” said Claver as he gave interested Lopezians a tour of the new lab on Friday, January 15th. Typically, food safety testing labs like FoodMetrics are set up and run within big food production companies – an expensive proposition that only large organizations can tend to afford. BioMedix has set up 480 of these labs around the world for customers like Starbucks, seafood production plants in Alaska, and even the Department of Defense – for testing the military’s MREs (Meals Ready to Eat). Equipment and inventory for these labs run at least $20,000, not to mention the time it takes for trained people to manage the labs. 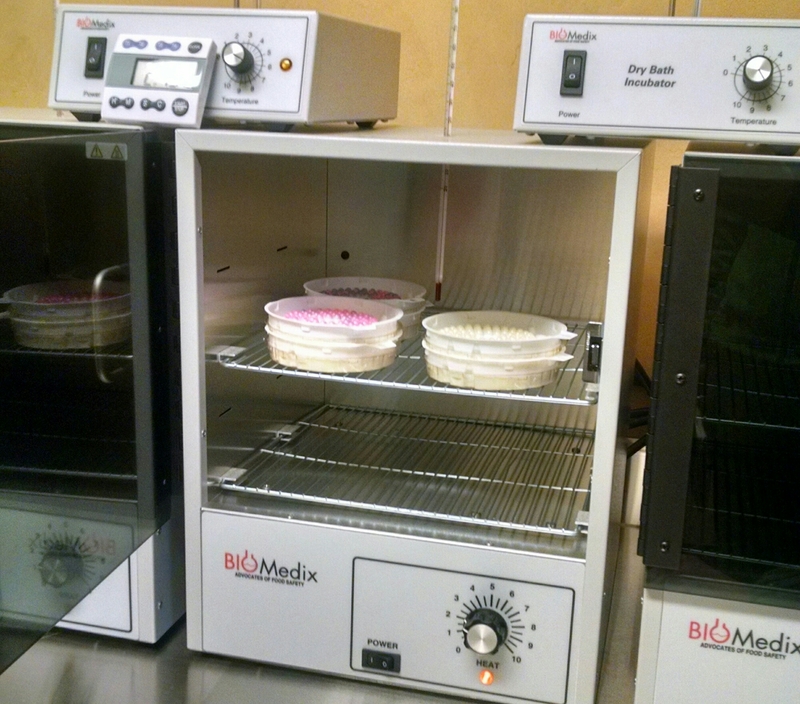 BioMedix was willing to donate all of the necessary equipment and the time to set up the FoodMetrics – Lopez Lab, as long as the LCLT had a place to put it. When Claver made the offer, LCLT Executive Director Sandy Bishop cleared out her office. And that was that. Soon after becoming a part-time Lopez resident, Claver became familiar with the growing – yet economically challenging – farming movement on the island. He was also aware of the impact that the 2010 Food Safety Modernization Act (FSMA) would have on food producers with limited resources. The FMA was going to require a lot more stringent and regular verification of food production, storage and distribution methods – protecting consumers against harmful allergens and bacteria such as salmonella and listeria, which causes the death of three pregnant women every day. Until now, if farmers wanted to verify the safety of their food, they’d have to send samples off-island, usually to labs in Seattle – a costly, inefficient and often ineffective way of doing so. “I wouldn’t dream of sending Lopez food samples to Seattle to be tested,” said Claver, as he described all the ways food can be contaminated after it leaves its clean, safe place of origin – the same things that can happen to food that’s imported to Lopez from off-island. Knowing what was at stake for Lopez farmers, Claver started seeking out organizations on the island that might be interested in housing a food safety testing lab donated by BioMedix. For 5 years he came up empty. In February of 2015, another twist of fate put Claver in touch with Lopez resident, Dixie Budke, who introduced him to her neighbors, Sandy Bishop and Rhea Miller from the LCLT. They of course were very interested in what Claver had to offer. Shortly after saying “yes,” plans were made, Sandy’s office was cleaned out, and Lopez became home to the world’s only farmer-run food safety lab. The “farmer-run” aspect was actually not part of Claver’s original vision. He was used to customers either hiring BioMedix to manage their labs, or hiring specialists to do so. After a few conversations with Lopez farmers, Claver realized that this model wouldn’t fly in this DIY community that tends to be somewhat wary of non-local oversight. So, instead of BioMedix running the lab long-term, Claver and his team are teaching local food producers on how to run experiments and maintain the facility. The lab can be used by any farmer or food processor on Lopez Island after completing 3 to 4 days of training. More than a dozen individuals have received their certification so far. Given the number of people who showed up for the lab’s official opening last week, I expect that number to grow quickly. The next training will be held in February. Dixie Budke, who works in School kitchen and is a Certified Food Safety Educator, received her certificate to run tests in the FoodMetrics Lab. How does Lopez-grown food stack up against other food that’s tested in the lab? In what’s been tested so far, Lopez food is astonishingly cleaner than off-island food. Ken Akopiantz tested plums grown on Horse Drawn Farm. They were totally clean. At the same time, fruit purchased in Seattle was tested. It was swarming with unsafe bacteria. Goat milk from Sunnyfield Farm has tested cleaner than other milk. Oysters from Jones Family Farms were “exceptionally clean – way below USDA limits for acceptable levels of bacteria,” explained Claver, as he related similar stories of the cleanliness of food grown on Lopez. “That’s the thing that really surprised me,” he said. Though surprising, these results are consistent with Claver’s belief that, the closer to its source, the cleaner food can be. 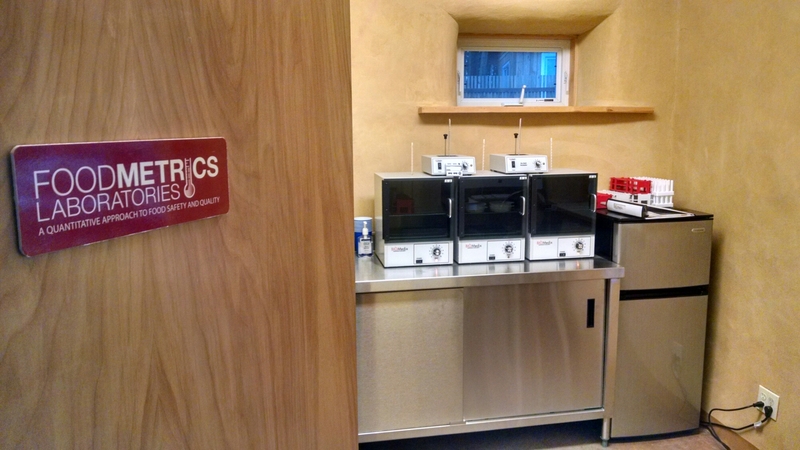 I was surprised by the simplicity of the FoodMetrics Lab. It sits within a room measuring no more than 100 square feet, containing 3 testing machines resembling microwave ovens and a small refrigerator. 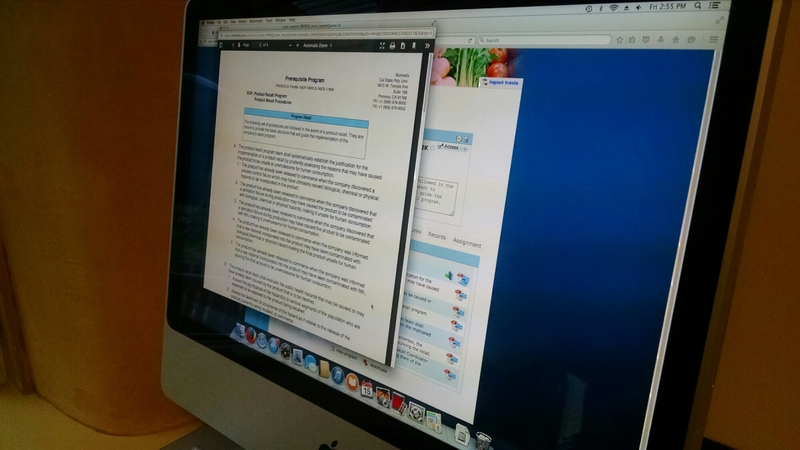 In one corner sits a computer where farmers can log-in to their private account to upload and analyze the results of their self-administered tests. The Web-based software creates Certificates of Analysis, which put testing data and results in the format required by safety auditors. Users of the lab can access their testing data and accounts from any Internet connection by logging in with a private password. Nobody but the food producer is able to see the results of their tests. As for Claver Bundac, he had no idea that an emergency fuel stop would someday result in a cleaner, safer, and hopefully more successful food production on Lopez Island. If you’d like to hear more about “Mr. 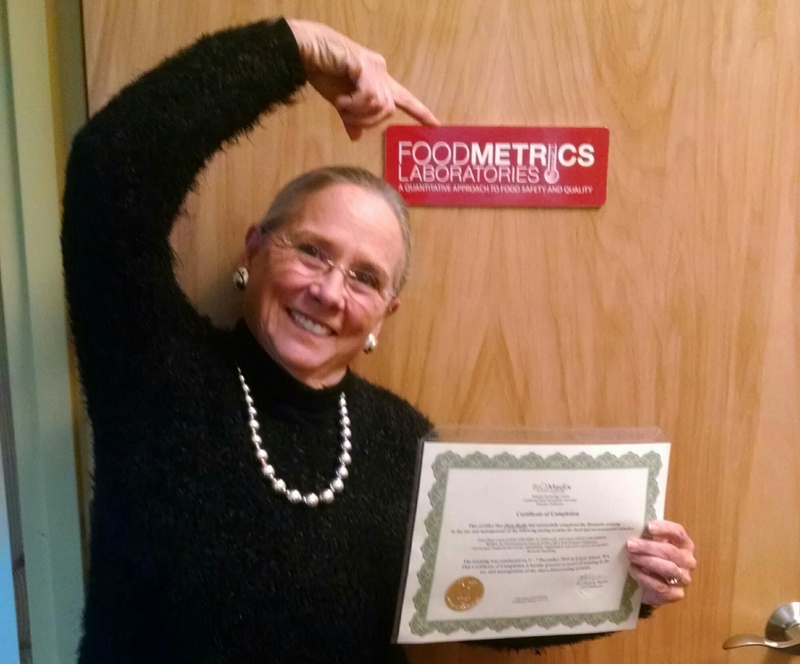 Clean,” I encourage you to stop by the LCLT to see the new FoodMetrics – Lopez Lab and sign up for upcoming certification trainings. Now that is one serendipitous Happening! What a gift for all Lopezians! Another well done post re. Lopez Island, it’s residents and what it contributes. Excellent column. and a pleasure to actually meet you f2f!